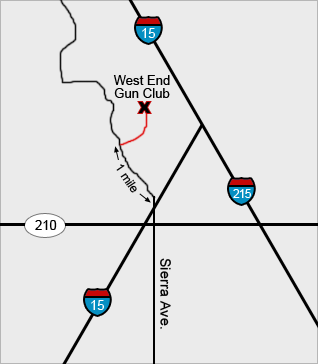 Whether you are looking to improve your skills with our pistol and handgun training, rifle or shotgun training classes or just want to learn basic firearm safety, Top Gun Training Centre is your best choice in firearms training in Southern California. Located in the Lytle Creek area, we routinely train students from the San Bernardino, Riverside and Los Angeles County. Please feel free to fill out our online contact form below if you have questions or to learn more about firearms training at Top Gun Training Centre. Copyright © 2019, Top Gun Training Centre | All rights reserved.